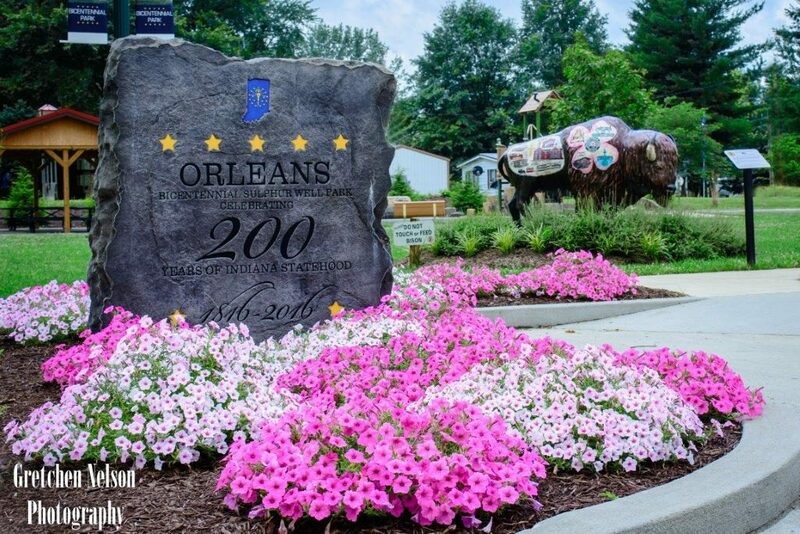 Orleans Bicentennial Park was dedicated and opened in 2016 to help commemorate Indiana’s 200th birthday celebration. The park, which is located on W. Vincennes St. includes a children’s play area, shelter house, walking path and historic marker. The newly renovated public space is also the home to the town’s Indiana Bison-tennial Art project. 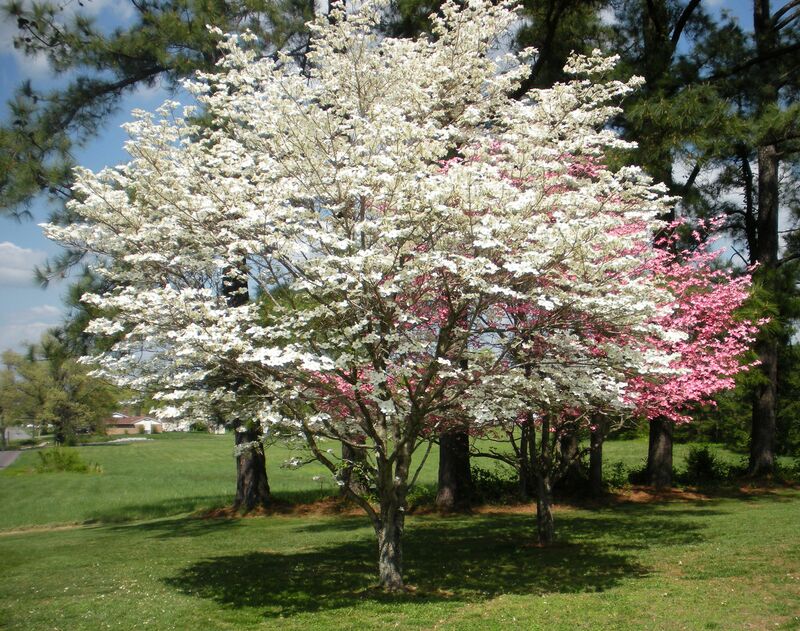 The dogwood tree is the trademark of Orleans. When “Operation Dogwood” was launched in the mid 1960s, the goal was to have hundreds of them planted along roads, in the park, and in the yards. The annual Dogwood Festival celebrates the town’s beautiful Dogwood blossoms in the spring. 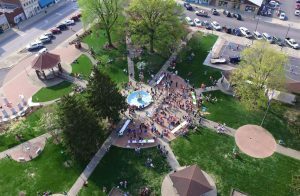 Historic Congress Square is the heart of our hometown and serves as the staging area for many special events throughout the year including our annual Dogwood Festival, Homegrown Farmers Market, the Summer Concert series, Fall Fun Fest, Christmas on the Square and more. The Carnegie Library serves as the public library. 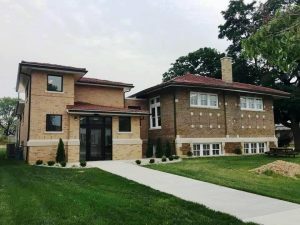 It was built with a $10,000 grant from the Carnegie Foundation in 1915. This beautiful historic building houses an impressive collection of material. 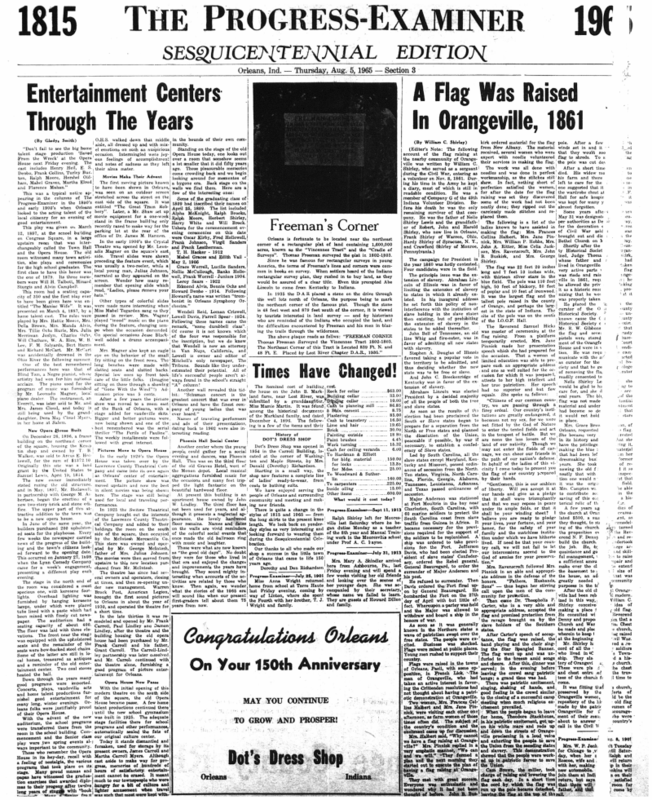 The Orleans Progress Examiner operates as the town’s weekly newspaper. The Orleans Airport was originally built in 1964 by local businessmen bringing the benefits of aviation to the town of Orleans. The airport serves individuals, businesses, and farmers. The airport serves as a safe landing location, both day and night, for AirEvac helicopters. 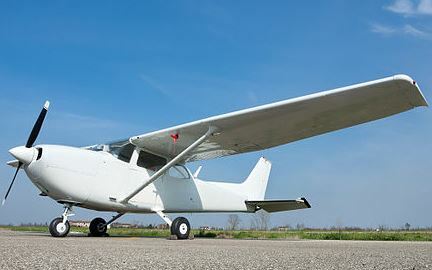 Many community members have learned to fly at the Orleans Airport. Aerial applicators frequently utilize the airport to serve farmers in the area. Many businesses utilize the airport to more efficiently conduct business. Our houses of worship are a vital link to our community. More than 20 churches representing many denominations are located in the Orleans area. Aside from traditional religious services, many have active youth programs. They also offer activities that support a variety of community services. 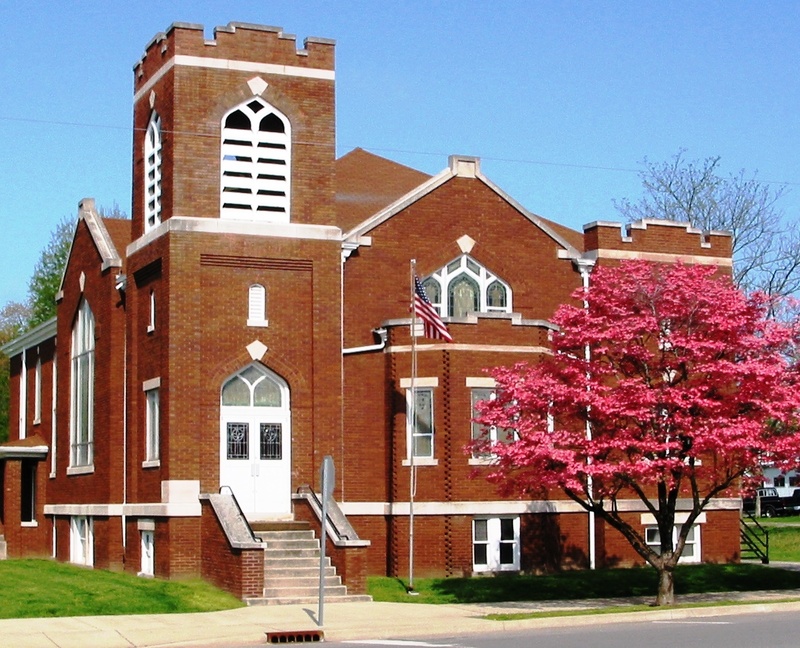 A number of Orleans churches are significant historical sites dating back to the 1800s. 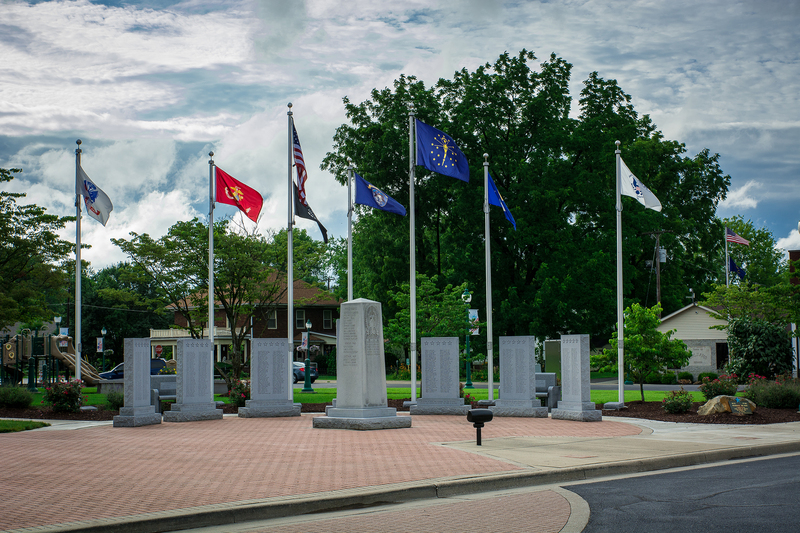 The Orleans Veterans Memorial pays homage to all those who have served our country. It can be found in Congress Square. 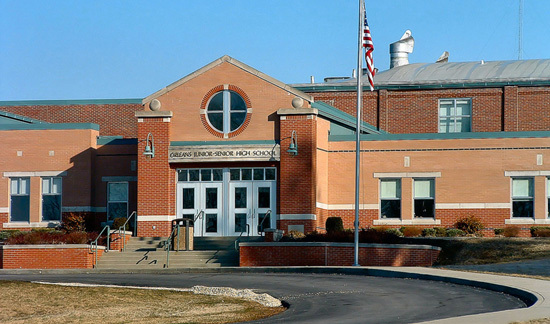 Between the high school and elementary school, Orleans Community Schools serve over 860 students. The district provides an outstanding academic curriculum as well as a full program of music, art, drama, and athletics. This is all evident by the numerous state level championship awards in various academic fields. The Orleans athletic department fully supports all of the sports programs for all grade levels. They are developing a sense of pride, dedication, and teamwork that has warranted many athletic achievements.